Here’s our first guest post to our Dog Bark Park blogs. It is the next installment in our series about different dog breeds. Through the efforts of Captain Max von Stephanitz at Karlsruhe, Germany (1899), the German Shepherd we know today came into our world. The German Shepherd evolved from herding and farm dogs, and first exhibited in American in 1907.The German Shepherd is consistently among the most popular dogs in the United States, coming in at #2 this year behind the Labrador Retriever. The German Shepherd Dog is a loving companion, a competent herder and typically excels in dog show competitions. While the German Shepherd has a reputation for being fearless, strong and muscular, this amazing dog is still approachable. The most common colors for a German Shepherd are black and tan, but many colors –including all black and all white—are possible. I can vouch for the “loving companion” label! All the German Shepherds we’ve had the pleasure to own and foster touch our hearts in ways we never imagined, and growing up, both my husband and I have had a variety of pooches. Fostering German Shepherds has been one of the greatest joys of our life together. Most likely, there’s a non-profit group near you that’s devoted solely to rescuing and finding forever homes for your favorite breed. We’ve been a foster family for almost five years, and I highly recommend it! Not only do you get the deep satisfaction of giving a wonderful, sweet dog the chance to love and be loved for a lifetime, you also have the extreme pleasure of getting licked and nuzzled and cuddled by these four-legged “fur kids” until they join their new family. Do we become too attached? Is it hard to let them go? Yes and no. Because we’re ardent dog people, we treat every pooch that comes through our home like it’s our own, and, of course, we grow to love them. We also know that if we keep too many dogs (both of ours are rescues we simply couldn’t part with,) we wouldn’t have the room to take any more fosters, and we don’t ever want to lose the indescribable joy we feel when we find a foster the perfect family and forever home. Try it. You’ll love it! Susan Hawkins is a writer for Max & Mittens, an online pet supplies store specializing in healthy treats, boutique-quality designer dog clothes, small-dog clothes, designer collars for both cats and dogs and boutique-style pet toys. She lives with her husband Jim and “fur kids” Zoey and Oz. Let us know how you liked this article. Should we have more guest writers? 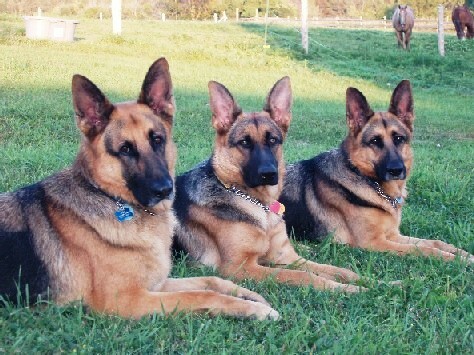 I love German Shepards too, they are such great dogs. Sometimes they may look mean but they can be just as lovable as any family dog. Nice sotry. about my presentation topic, which i am going to convey in institution of higher education.